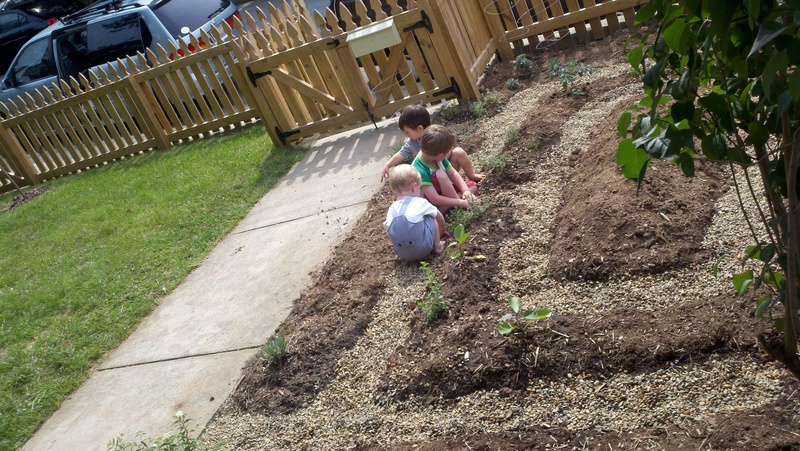 My friend Amanda Ray turned half of her front yard into this great garden, right here in 28801. I think a garden really says alot about a person — Amanda Ray’s artistic soul definitely helped shape the space here. 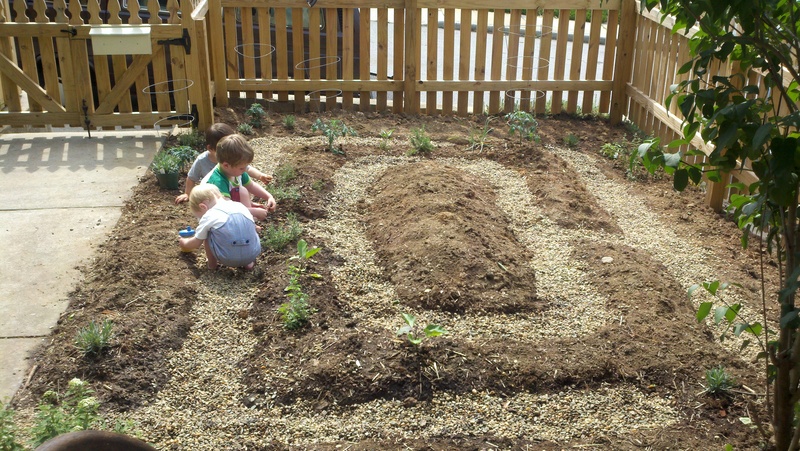 She’s a mom to two boys too, and she’s designed a garden that’s both fun and practical for her family. I love the layout of this design — you can imagine how cool it is for little kids — it’s a maze, so very inviting. 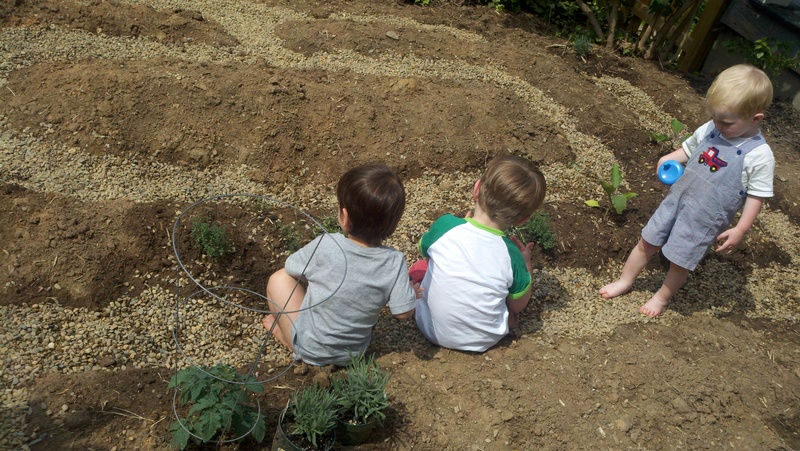 It also makes tending the plants really easy too, as you can get to them from both sides. 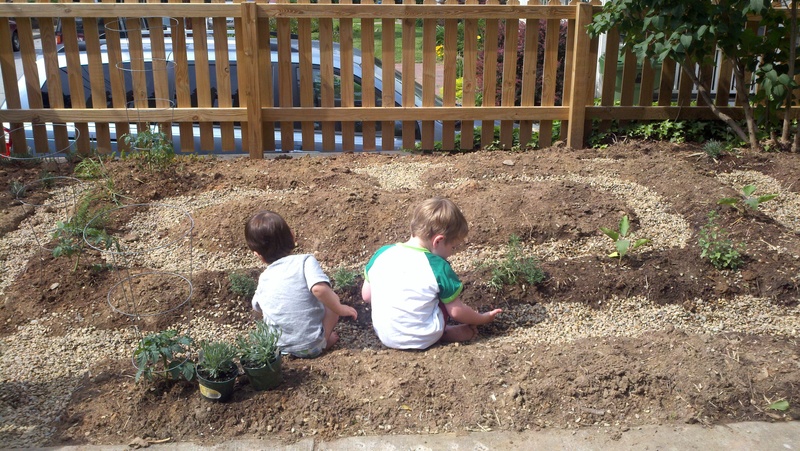 Of course the boys are loving to dig around in the gravel paths…..
Another thing I like about this garden is that it’s right up next to their front porch, so there’s really easy access to the food when it’s ready, and it’s easy to water too. My butterfly/hummingbird garden has a similar design and I love it! I love that people are starting to grow their veggies in the front yard; I’m seeing more and more people in my neighborhood doing that. It’s a great trend.